Oh right. Spider-Man once had six arms. That happened. Contrary to the possible misrepresentation of Sony Co-Chair Amy Pascal’s comments, an expanding Universe based solely around Spider-Man has a great deal of potential. Yes, there is a risk of Spideyverse exhaustion (although the reboot being so successful in spite of it being less than five years after the Raimi trilogy suggests otherwise), but I believe Pascal was suggesting Spiderverse-based films that don’t necessarily include Spider-Man. Unfortunately, with superhero films, we’re locked into the blockbuster mentality. That’s why I think Sony may be the best bet when it comes to breaking open a larger Spider-Man Universe. Sony has shown by continuing franchises like Resident Evil and Underworld that they’re comfortable with their subsidiaries occasionally turning a profit of less than $100 million. This is where I see many of the Spideyverse spin-off films falling. Again, this all comes down to who has the rights to the below characters. My life’s been better since I learned to stop worrying and accept the Marvel films rights status quo. If all of the heroes were under the Disney/Marvel roof it’d be unlikely we’d see as many Marvel heroes on the big screen in a single year as we do now. Theoretically, if Disney/Marvel had X-Men, Fantastic Four, and Spider-Man they’d be less likely to start gambling on films like Ant-Man and Guardians of the Galaxy. Marvel Studios is currently averaging two films a year and Kevin Fiege has said it’s unlikely the studio will up that number. There’s no reason to think that would be different in a Marvel Cinematic Universe that includes Wolverine and Spider-Man as potential Avengers members. Instead, thanks to the rights debacle, 2014 will see the release of films featuring Captain America, Spider-Man, X-Men, and the Guardians of the Galaxy. What we’re now hearing is the rights holders of these various properties want to dig deeper and do more with what they own. I believe this actually happening is contingent on two things happening for the House of Mouse/Ideas: Guardians of the Galaxy and Ant-Man need to be successful. Guardians of the Galaxy being successful opens numerous pathways for Fox when it comes to playing with the Marvel Cosmic. 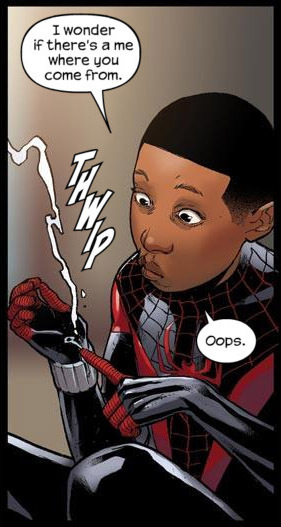 Ant-Man being successful could act as encouragement for Sony to follow through with spinning off the Spideyverse. What could that mean for the expansion of Universes? I’m going to do some speculation, but before I do it should be made clear that I have no clue where the rights of these characters fall. 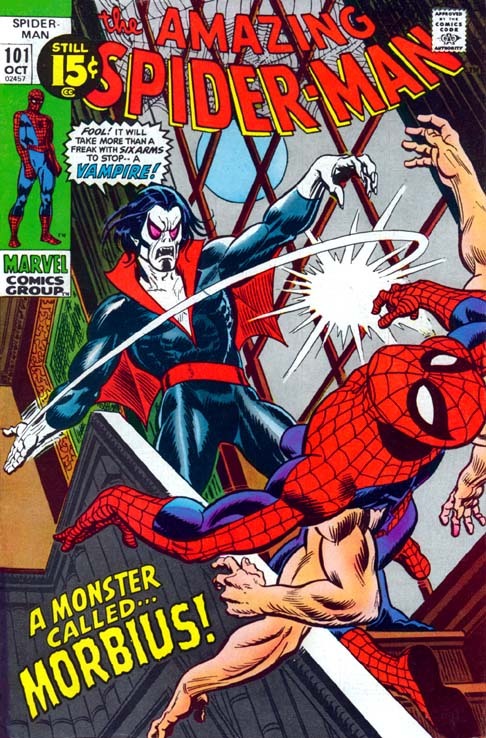 For example, Cloak and Dagger is a bit of a muddle. They made their debut in Spider-Man and were typically associated with his titles. They were classified as mutants, so they could fall under the X-Cinematic Universe. However, they have carried their own titles on occasion, so it could be argued they’re part of the Marvel Cinematic Universe. They could fall into the Quicksilver/Scarlet Witch zone where it basically comes down to whoever gets to them first and even then multiple Universes can use them as long as they respect certain noun and adjective usage. Today I’ll toss out two possibilities regarding Fox and Marvel Cosmic. The Spideyverse requires a bit more fleshing out, so I’ll touch on that tomorrow. Silver Surfer was arguably the single best part of the previous Fantastic Four movies. Silver Surfer could (and likely will) be introduced in a sequel to the Fantastic Four reboot. 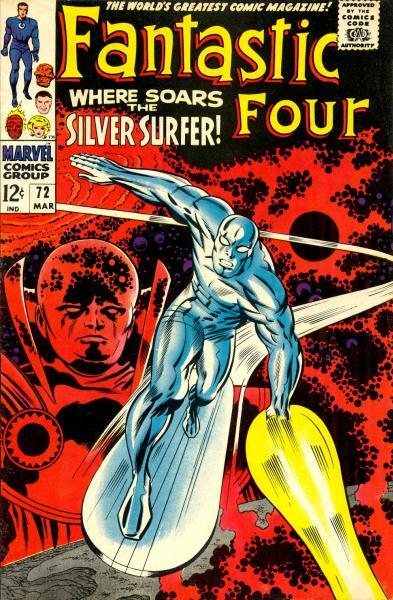 That reintroduction should be followed by a Silver Surfer solo origin film that also acts as a prequel by ending with Silver Surfer leading Galactus to Earth. Disney/Marvel might have the Guardians of the Galaxy, but Fox has the Starjammers. In the comic the leader of the Starjammers, Corsair, is the father of Cyclops and Havok. I need to rewatch X-Men: First Class, because I don’t recall how deep that film went with Havok’s origin story (I’m not even sure Havok and Cyclops were brothers in that film?). It isn’t necessarily relevant as the X-Cinematic Universe origin is nothing like the X-Men Comic Universe origin, so there’s a limitless number of ways to introduce the space faring team. 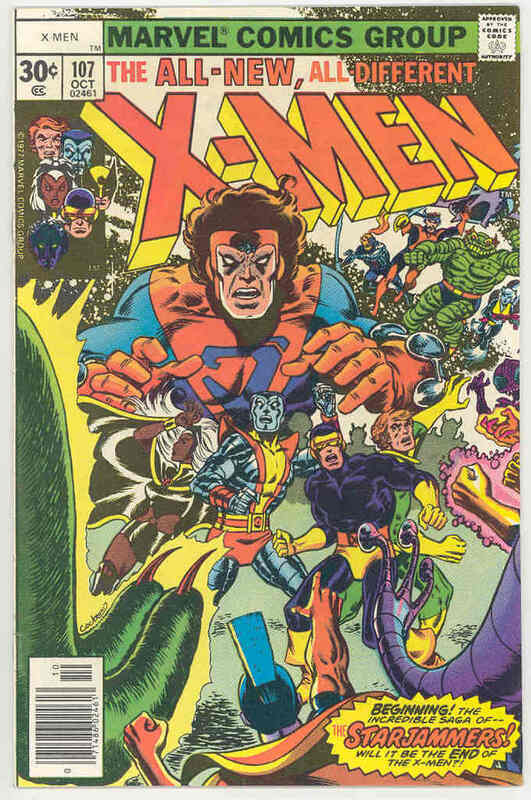 The Starjammers would also bring the Shi’ar into the XCU fold. The Shi’ar, unlike the Skrull and Kree who are important to Fantastic Four and the Avengers, have almost exclusively been featured in X-Men and Fantastic Four titles. Tomorrow I’ll take a look at the endless opportunities for Spideyverse. It was a strange and fruitful blip in the online comic community. Writer Warren Ellis’s comic book message board The Engine ran from early September 2005 to Aug. 31, 2007, birthing in its short life new comic books, ongoing collaborative superteams, Eisner and Harvey Award-winning projects, and at least one marriage. My affectionate memories are not only those of a participant, but of one of six hand-picked moderators (or Filthy Assistants, or Enforcers, or Attack Wombs, or…) from its birth to retirement. I spent hours a day reading, enforcing, and talking Engine, so it looms large in my memory as a crucible of comic history. The Engine was uniquely suited to making things happen, not just talking about them, and I’m heading back into the mid-aughts to explore what made it such fertile ground and why its echoes affect comics to this day. The Engine’s original charter called for a unique structure: protected sections for published or contracted-to-publish creators working outside the superhero genre. Somewhere in the mid-aughts web small indie fora devoted to a particular creator’s work no doubt puttered along nicely, but major comic sites simply didn’t excise superheroes. [The Engine] serves two purposes: a point for conversation about FELL, DESOLATION JONES and my other adult-oriented, non-superhero, creator owned works. There are loads of other places for people to talk about PLANETARY, NEXTWAVE, JACK CROSS, ULTIMATE SECRET and all. And also a stage for like-minded creators, involved in original non-superhero work, to talk about what they’re doing. That, you’ll note, is not an all-inclusive and all-welcoming stance, and I’m going to be selective about it, too. There’ll also, with luck, be a space for pros to talk that’ll be read-only to everyone else: there are conversations worth having in public that wouldn’t survive thread-drift from the audience. This morning Image Publisher Eric Stephenson gave a speech at ComicsPro, the annual comic retailer meeting, that should be required reading for anyone interested in strengthen the foundation of the industry. The Beat has text of the entire speech, but I wanted to dig in and pull out some interesting bits. Stephenson told the retailers they should see a growing graphic novel section at Barnes & Nobles and increasing sales on Amazon as an opportunity. Of course, Image publishes variant covers, but Stephenson said that’s only because retailers keep ordering them. He said variants and other gimmicks are detrimental to the long-term health of the industry. One of the most important parts of his speech was pushing the retailers to look beyond superheroes and to accept that there are new demographics coming into comics. He notes that one of the most important demographics is women. While he’s kind to give a nod to other publishers by mentioning non-Image titles like Love & Rockets and Rachel Rising he comes down hard on publishers of licensed properties that come from film, television, or toys. I personally don’t agree with this assessment as it’s disingenuous to the writers and illustrators who invested ink and sleepless nights into expanding those Universes. Larry Hama’s GI Joe comics, not superheroes, were my gateway drug. There is a place for such content if you’re truly trying to build a strong foundation. I do understand the greater point he’s trying to make that the comic book industry should strive to be a new idea factory and not build it’s foundation solely on what Hollywood and toy companies churn out. There’s much more to the speech than the quotes I pulled out. If your LCS wasn’t at ComicsPRO it might not hurt to print a copy out and leave it on their counter. The insider sourced casting rumors regarding the Fantastic Four film reboot has the Internet all atwitter. In a declarative headline TheWrap reports the cast has been found while going on to write with less certainty “Hollywood was buzzing Wednesday with news that Miles Teller, Michael B. Jordan, Kate Mara and Jamie Bell are nearing deals to star in the studio’s reboot of the popular comic book franchise.” “Nearing deals” doesn’t mean “set in stone” in Hollywood and the article goes on to point out justified reasons to doubt the reporting, but let’s run with these rumors as being accurate, because the rest of the unsourced echo-chamber Internet is doing so. Frankly, director Josh Trank could, and should, do so much more to shake up the status quo. The superhero film universe is overwhelmingly white due in part to the big two comic book universes being historically overwhelmingly white. When the second Captain America hits the screen with Falcon he’ll be the third black superhero since the first Iron Man film introduced a non-War Machine James Rhodes in 2008 (I’m counting Thor‘s Heimdell). All of these roles are secondary at best and there hasn’t been an African-American in a starring role since 2004’s Blade Trinity. The Johnny Storm casting decision will fill a decade long absence. The only issue I have with the casting decision is that Sue Storm and Johnny Storm are brother and sister. There are some obvious ways to address this issue. One is that the Storm family could have multiethnic heritage and the other is one of the Storm children could have been adopted. Both of those story lines could work, but it would be a huge leap forward for cinematic superheroes if Sue was a black woman. The only cinematic black female superhero to date has been Halle Berry as Catwoman (and unfortunately she was the victim of Hollywood choosing an artsy French director with only one previous film under his belt). A secondary benefit of casting an African-American Sue is the need for more interracial relationships in mainstream films. It’s sad to think that casting the future wife of Reed Richards as a black woman would be progressive in the 21st Century, but in light of the shameful Internet response to an interracial couple in a Cheerios commercial it seems the media consuming populace needs more opportunities to realize it doesn’t need to be an issue. * I don’t necessarily agree that fans who demand there be no change in comic character race are racist. Many are the same people who were upset when Sam Raimi gave Peter Parker biologically-based web shooters instead of technology-based web shooters. They are against change from the funny book gospel. That said, yes, there are definitely racists upset with the possible decision. There’s a new Tumblr worth checking out called “Safe Spaces for Comics Fans.” The Tumblr is an effort to document shops that are committed to being a positive and inclusive environment for every type of comics fan. Comic shops are notoriously hit and miss when it comes to being inclusive of women, lgbt, PoC, and other minority comics fans. This tumblr is for you to share your positive or negative comic shop experiences, so that fellow comics fans can find friendly local comic shops, and be warned of which shops to avoid. So far there’s only one Bay Area shop on the list (Dr. Comics and Mr. Games), but I can’t think of any shops in the coverage area of this website that aren’t inclusive (FWIW, I haven’t visited all of them yet). Amusingly, there are very few shops on the master list with a strike-through which indicates an “unsafe space.” One of those few shops happens to be Kevin Smith’s Jay and Silent Bob’s Secret Stash. I can’t say this is a surprise. I’ve watched two episodes of Comic Book Men and had to stop, because the employees are poor ambassadors of our fandom perpetuating and reinforcing an increasingly outdated stereotype. Johnny Depp as Doctor Strange is still a rumor. Other news outlets have suggested it could be John Hamm (and some outlets not only suggesting it’ll be Hamm, but loudly declaring with exclusive certainty (Update: The Infamous killed the link after Benedict Cumberbatch was confirmed but we have a screen cap)). Some think it might be Justin Theroux. I heard it’ll be Chriss Angel (this is a lie…or is it?). The reception to the Depp rumor has been met with a mostly positive response, but there is some hand-wringing in the typical corners of the every-casting-rumor-is-an-end-to-my-world fandom. I saw some of this on a friend’s Facebook wall after he’d posted a link to Total Film’s “20 Reasons Johnny Depp will be a great Doctor Strange.” The list is a decent defense, but there are some additional strengths to having Depp as Doctor Strange that aren’t mentioned. Superior Spider-Man: Do we need Peter Parker? Why wonder if there’s a you when that you could be you? My willingness to see flagship characters die and “remain dead” likely comes from growing up as a Green Lantern fan and being forced to accept the death of Hal Jordan. While 1993 saw headlines trumpeting the death of Superman it was insignificant when held up to the eventual fallout of Superman’s return. The original Superman returns, after only seven months “dead,” to find Jordan’s Coast City in ruins thanks to the combined forces of Cyborg Superman and Mogul. Jordan had been away from Earth during the destruction and finding the city destroyed begins a descent into madness. He seeks the power to restore Coast City by slaughtering the Green Lantern Corps. After taking their rings he becomes the villain Parallax for three years. His death finally comes in 1996 when, as Parallax, he sacrifices himself to reignite the Sun in “The Final Night.” Jordan remained dead until his soul returned as The Spectre in 1999 and eventually returning to his power ring in 2004. Ten years is a longtime for such a well-known hero to not return to his namesake title (possibly topped only by Barry Allen). Prior to Peter Parker being purged from his body by Doctor Octopus at the end of 2012 the most recent gamble by Marvel was the death of Steve Rogers as Captain America in April of 2007. Impressively, Rogers stayed “dead” (he was actually frozen in time) for more than two years and when he did come back it wasn’t certain how soon he’d return to the shield. It was the first time since the death of Jordan that a major character known for carrying a title had been sacrificed for more than a year. Batman doesn’t count, because when DC “killed” Bruce Wayne at the end of 2009’s Final Crisis issue six it was only one week of wondering if he’d eventually return to the cowl (Wayne, much like Rogers, was also sent hurtling through time). This is why the death and eventual return of Peter Parker is significant. Much to the chagrin of those calling for Dan Slott’s head Superior Spider-Man continues to be one of Marvel’s best-selling titles (you can read my previous defense of SSM here). It begs the question, do we need Peter Parker? That’s a hard question for me to write. Spider-Man was the first hero I ever made a monthly commitment to when my mother let me subscribe by direct mail to Web of Spider-Man in the late 80s. It’s difficult to comprehend a generation growing up without Parker and all of his idiosyncrasies behind the mask. If we decide Peter Parker doesn’t necessarily need to come back it can’t be Otto Octavius forever. While he’s been taking strides to become a better person, including very noble advocacy on behalf of little people, he did kill Peter Parker and deserves to get his comeuppance. Who should take his place? That statement seems counter-intuitive to how he’s proposed the state be fragmented. The proposal would create state monopolies through concentration of industry. It sounds rather Hunger Games-esque with each state being a district with a specialization. Generalizing, we’re looking at the Bread Basket State, the Entertainment State, the Tech State, the Timber and Marijuana State, the Wine State, and the Warehouse and Distribution State. While Draper’s proposal suggests the plan will result in “lower costs” it doesn’t address the added cost associated with intrastate vs. interstate commerce. For example, what will happen when the Bread Basket State, which currently provides a great deal of the food and dairy for California, no longer receives the significant tax support that comes from other regions? Well, this is certainly a timely Kickstarter for my current Dead Universe habit. One of the most difficult parts of collecting a Dead Universe is all of the floppies. Most Universes meet their demise before they have the opportunity to publish in trade formats and so few of us are skilled in bookbinding. Alex Rodriquez is providing the perfect solution in the form of the the “compiler comic binder” (hat tip, Comics Alliance). Unlike library binding, this is non-permanent, non-destructive and reversible. Take comics in and out at will. Comics are held in place by a wire that snaps at the top and is attached at the bottom of the post (no small pieces to lose). The cover is a translucent flexible cover so that you can see the contents. In addition, the spine includes a spot for a label so that you and others can see the contents at a glance. Rodriquez has completed the prototype for the “compiler” and the Kickstarter will allow him to produce the first batch of compilers. More details at the Kickstarter page.